I used different colors but the design looked great. The skyline showed up well. 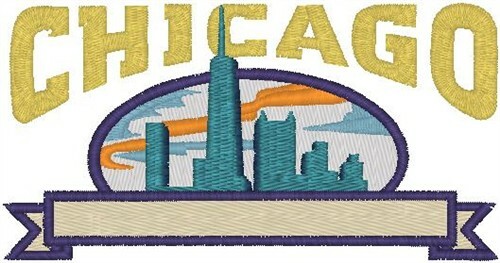 Heavenly Designs is happy to present Chicago Skyline machine embroidery design which has 16375 stitches and is [138.00 mm x 72.00 mm] large. If you would like to view more embroidery patterns please search on our embroidery designs page.